It's getting warmer here in Seattle, and I need to switch out my heavy flannel sheets and faux down duvet for lighter weight bedding. 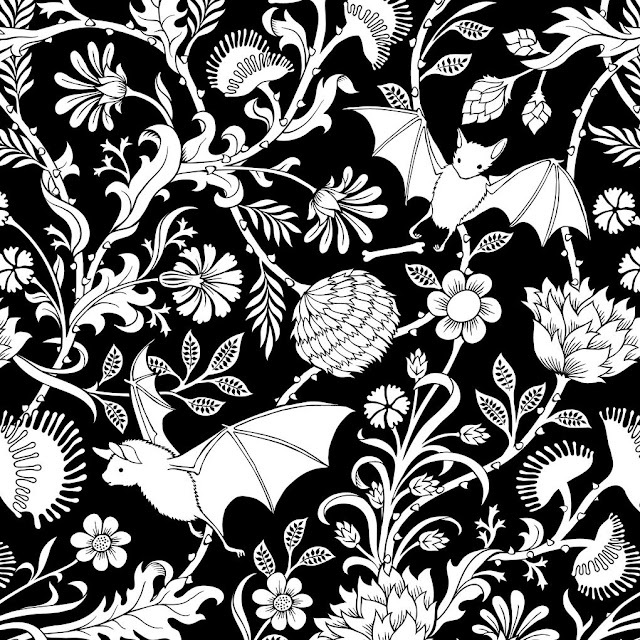 Tired of my silvery blue flowery set, I'm tempted by the Bat Botanical linens by Sin in Linen. Besides the Bat Botanical pillow shams and sheets, Sin in Linen makes a matching tablecloth in the pattern. While I might not use it on my formal dining table very often, I'd be tempted to bring it along on a cemetery picnic! 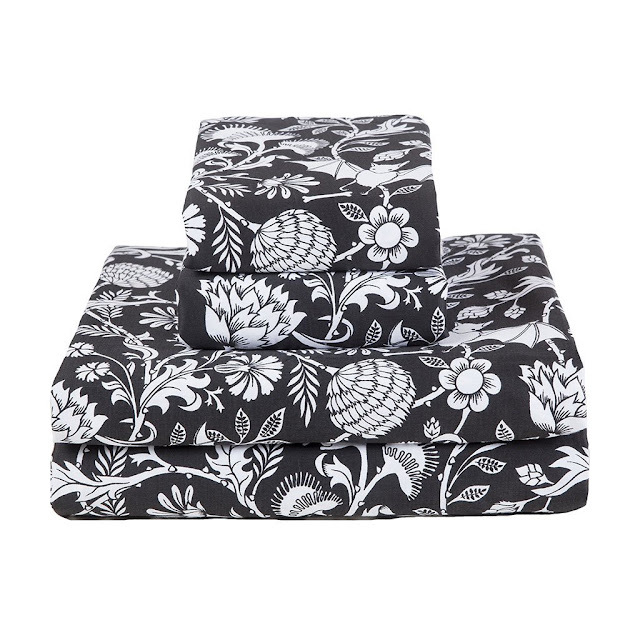 As a side note, the pattern is actually called "Elysian Fields" and also comes in blue-and-white.